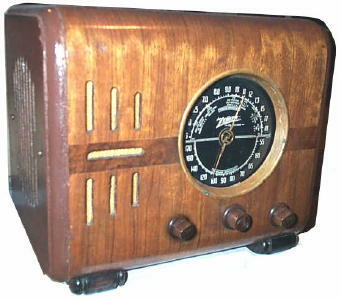 The 5-S-218 is one of Zenith's many well-known cube radios and this particular model originally sold for $32.95 in 1938. The beautiful black dial with white lettering was the face of Zenith radios for the most part of the thirties and into the early forties. This 5-S-218 only needed some minor electrical repairs.